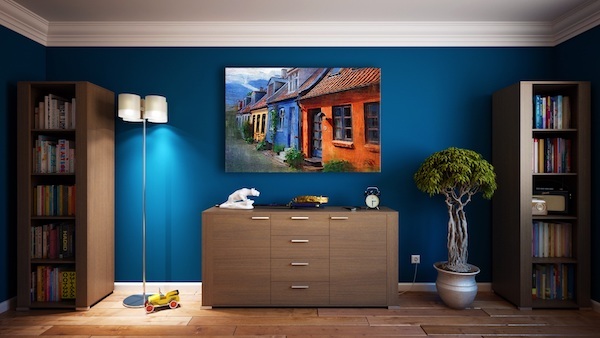 You’ve heard it time and time again: minimalism, tiny houses, downsizing, minimalist living. And the thought of it sounds good — living with less things so you can live with more heart, passion, and joy. But what about your perfectly curated wardrobe? All the dog toys you just bought? And that toaster from Aunt Gertrude that’s not quite what you wanted, but it’s the thought that counts? You can still live a minimalist lifestyle and not live in a small 300-square-foot home. It’s possible to take some of the main ideas of minimalism and incorporate them into your own life. Let’s call it a minimal-ish lifestyle. If you’re looking for easy ways to become a minimalist, then check out these tips from Adventures with Asha. Asha is a personal growth and lifestyle blogger on a mission to help people slay their lives and start living according to their own terms. And today, she’s here to help you slay minimalism. 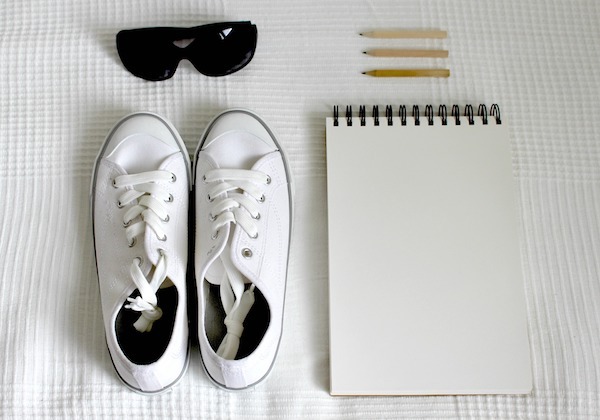 Minimalism is intentionally living with only the things that you absolutely need. It’s having and being surrounded by fewer material items, so you can do more with your time and life. 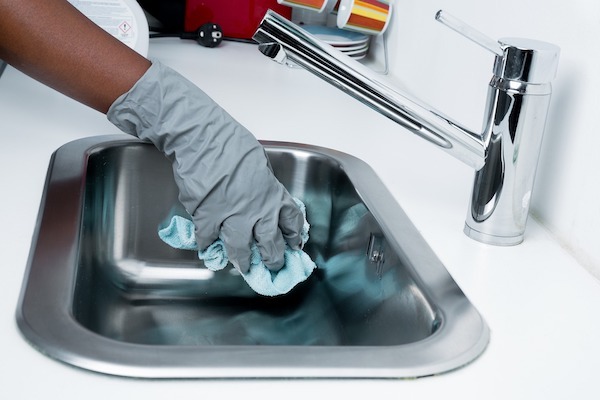 Think about it: When you have fewer dishes, you spend less time washing and drying them. You don’t have to fight for room for that final stack of Tupperware (none of which matches, by the way). Minimalist living allows you the freedom to spend less time and money on stuff, and spend more energy on actually living. Now that we have a basic idea of minimalism, let’s dive into eight easy steps to living a minimalist lifestyle! Minimalism is different for everyone. Some people define their minimalist lifestyle by only owning a certain number of items (like a capsule wardrobe). Other people achieve a minimalist lifestyle by minimizing the actual space that they take up in the world, and may seek out smaller living arrangements like a studio apartment or tiny house. And that’s the beauty of minimalist living: you get to look at your life — your job, the number of people in your family, your lifestyle, your needs and desires — and determine what minimalism looks like on a personal level. Maybe it’s simply decluttering your home. Maybe it’s moving to an apartment that’s 200 square feet smaller than your current living situation. Or maybe it’s completely downsizing your life. Whatever your definition of minimalism, make sure that it’s something sustainable and achievable for your life. 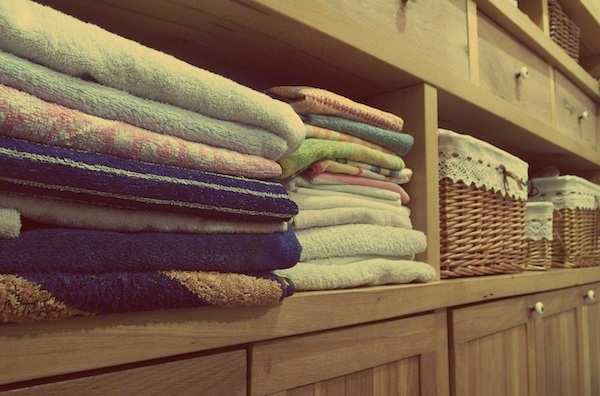 As much as we all hate to admit it, there are some items in our homes that are just junk. The box that your Amazon order came in. Your favorite sweater that shrunk in the wash. The broken items that we say we will get around to fixing but obviously never do. In reality, these items are wasted space, and minimalism is all about maximizing space. So the first step is to start with a literal clean slate and throw out all of the trash. Remember how we learned that minimalism is all about adopting a less is more mentality and only living with the things that you need? Put that to the test by implementing the Use It or Lose It Rule. When you find these items, use the Six Month Use It or Lose It Rule. If you haven’t used it at least twice in the last six months, then it’s time to toss it. If it’s a seasonal item, like your winter coat or a swimsuit, then ask yourself if you used it regularly last season. If so, you can still temporarily remove it from your space with a pickup by MakeSpace, and have it delivered back next season. Eventually, try to work up to tossing things that you haven’t used in the last three months, and then items from the last month. And remember, keep only what you need now, not what you think you’ll need in the future. The next step in your minimalist journey is to organize and declutter your home. Some people like to organize everything by location. In this scenario, everything in the living area gets organized, and then everything in the kitchen, and then everything in the bedroom, etc. But think about all the places in your house where you might keep a writing utensil. At quick inspection, I found five in my living room, one in my kitchen, three in my bedroom, and there was even one in a drawer in my bathroom. If I organized each location individually, I would still end up with 10+ writing utensils. That’s where the KonMari method comes in. It’s one of the hottest cleaning, decluttering, and organizing methods out there right now, and one of the golden rules is to organize items by category, not by location. Doing so allows you to easily get rid of the duplicates. You’ll see exactly how many spoons, towels, blenders, sunglasses, shoes, and books you have. Then you can make more educated decisions about what to keep and what to toss. Looking for some guidance on how many of a certain item you need? Sometimes we are too emotionally tied to our sentimental items. Minimalism forces us to let go of those emotions, and focus on functionality. Is it the only one I have? Does it bring me joy or love? If you answer yes to any of the above questions, then it can stay. 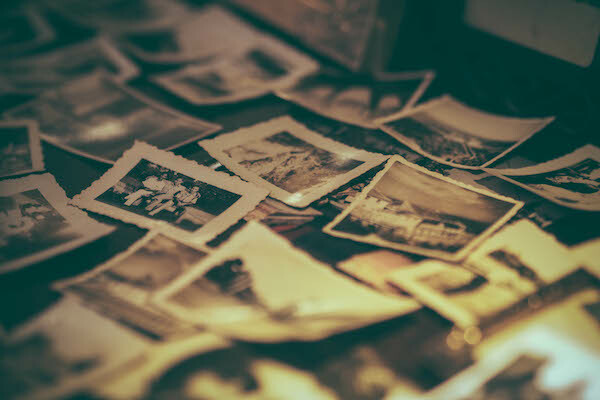 You wouldn’t throw away your only blender if you use it weekly, and you don’t have to toss your grandma’s old photo albums (here’s how to store and preserve your old photographs). But you could throw out the second blender that you have, or that old postcard from grandma that is nice, but doesn’t quite tug at your heartstrings. If you’re trying to have less, then it makes sense to have items that serve more than one purpose. 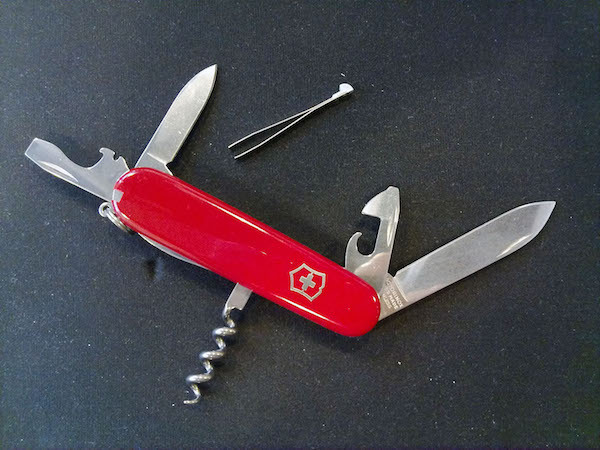 This is especially easy to do with kitchen utensils and appliances (like a four-in one-grater or a single bottle opener for wine and beer). It can also be done with other items, such as these space-saving furniture ideas for every room in your apartment. You can also buy a duvet cover that can be used unfilled in the summertime as a light comforter, and then filled with a heavy duvet in the winter. Struggling to minimize items? Minimize the space they take up instead. 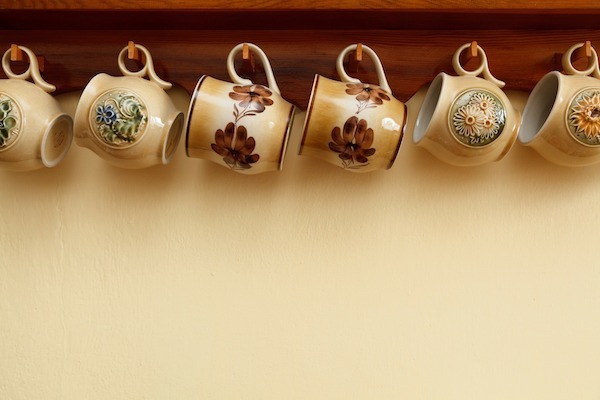 Hang your paper towel roll or mugs under a cabinet. Get wire shelving to maximize space in your cabinets. Instead of keeping all your old photo albums, scan the pictures to your computer. Your family will probably appreciate a slideshow of photos way more than crowding around one photo book. Once you’ve minimized the amount of things you own, make sure that you start to limit what you bring into your home, as well. You didn’t do all this work to be undone by a few impulsive shopping sprees. Try removing one piece of clothing from your closet for every new item that you purchase. Set yourself a spending limit for new items each month. And be sure to cancel those magazine subscriptions that you don’t read. By adopting a more minimalist lifestyle and applying it to your future purchases, you can actually save money. Minimalism doesn’t have to be complicated. Make these easy changes to your lifestyle, and you’ll enjoy living with less in no time. 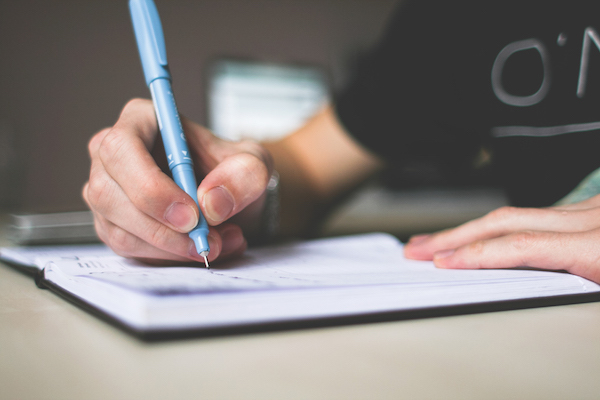 This article was written by Asha from Adventures with Asha, whose mission is to help women own who they are while leaving room to grow and change on their own terms.